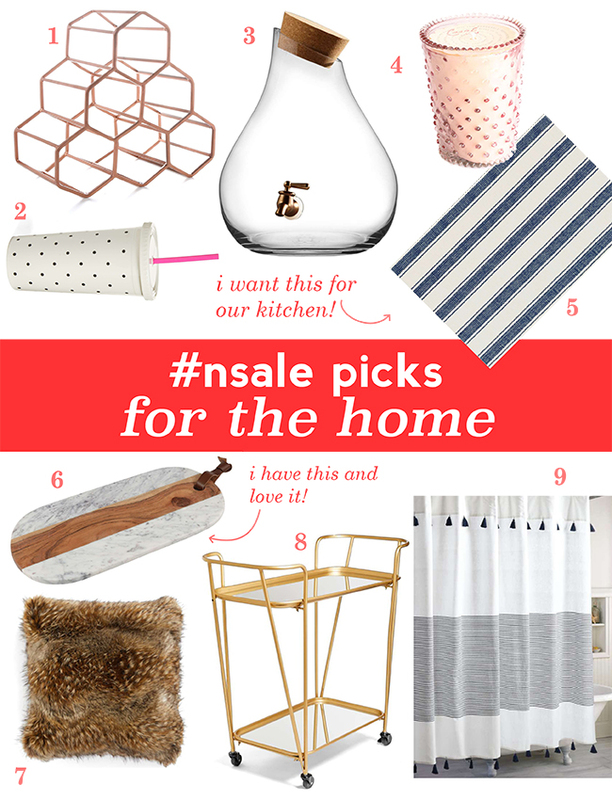 One of the places I tend to neglect in the Nordstrom Anniversary Sale is the home goods section, which is sad because they have some really awesome stuff! Last year I ended up grabbing a couple of things at the tail end of the sale and I freaking love them - I have a couple of trays like this one and use them just about every time we have company! They also look super cute on display on our shelves. Other highlights include this super cute drink dispenser - so much more fun than the cheapo ones I bought from Target a few years ago that always seem to leak! And I'm seriously loving this rug. It's actually been on my wishlist for a while so I'm really psyched to see it in the sale. I currently have a funky floral rug in our kitchen (also from Target) but this one is so much more grown up. Oh, and how cute is this wine rack?! So pretty! !